Have you ever wondered what will happen to you when you die? Does the thought of death scare you? Join me as we explore "Life After Death" from people around the world who experienced death, and lived to talk about it. Whether you believe in God or not, doesn't change the fact that one day you will die. 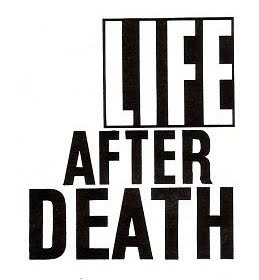 I invite you to watch these true life stories from people who have already experienced life after death. Here's Proof There Is Life After Death! For years people who have talked of having an out-of-body near-death experience have been dismissed as crackpots or attention seekers. But a new study reveals that one in 10 heart-attack victims have spoken of just such an episode which left them feeling either at peace or at the gates of hell. When the first explanation for near-death experiences came, it seemed straightforward. According to scientists the cause was anoxia, when the brain is starved of oxygen. Caroline Watts of Edinburgh University explained: "Cells in the visual cortex of the brain are dying off and some are firing randomly. "It has been argued that this causes flashes of circles which appear to be a tunnel with a light at the end to the person experiencing them." 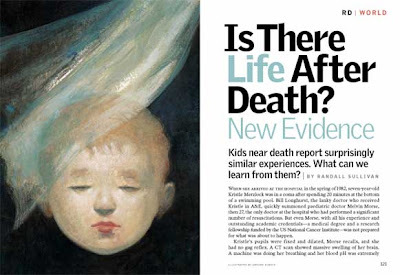 "People who have experienced near-death experiences - NDEs - often say it is pleasant. "But if you are near death or injured your body releases endorphins, which are the body's natural opiates, which help to produce the serene and peaceful feelings associated with NDEs." However, a recently completed 13-year study conducted in Dutch hospitals appears to turn this theory on its head. According to the man in charge of it, Dr Pim van Lommel, anoxia cannot be the sole explanation as only 18 per cent of heart attack victims experienced an NDE. If the theory was correct, he argued, all patients who were later revived should have had one. This has led Dr van Lommel and other medical professionals to speculate that the mind can operate independently from the brain. One of the striking things about NDEs is how similar they are. In cardiac victims they often start with the feeling of floating out of the body and viewing ongoing medical efforts to save them. This is followed by a voyage through a dark or black tunnel towards a bright light and accompanied by feelings of love and peace. Sometimes there is a review of your life. Many report meeting either a supernatural being, such as God, or dead relatives who tell them it's not their time to die and to go back. 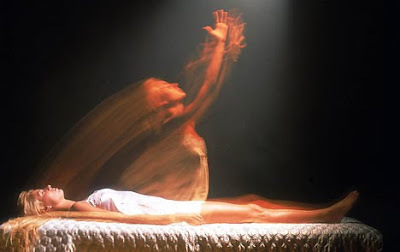 People who experience this type of NDE subsequently no longer fear death. However, sometimes people are dragged or fall down the tunnel towards a black nothingness away from the bright light. This void is described as a place full of fear, pain and terror. Not surprisingly, these people fear death afterwards. A study was lead by cardiologist Pim van Lommel, MD, and set up in ten different hospitals in Holland over a period of 13 years. In this time period, 344 patients who had cardiac arrest were successfully resuscitated and they were then shortly after interviewed about their experience of being near to death. The study found that of the 344 patients, 62 patients or 18 percent reported having a near-death experience. This prospective study gives strong evidence that near-death experiences are not just stories that people make up, but that something does indeed happen to people who come close to death. Still, many experts remain skeptical. One attempt to explain the near-death phenomenon is that the experience is simply due to hallucinations brought on by the loss of oxygen to the brain, which in medical term is called "anoxia." However, this explanation is a bit problematic because as we all know people who collapse or faint usually have total blackout or are at least very confused about what happened to them. But the near-death experiencer has a clear consciousness of the event, remembering the episode acutely for many years. So, the big question for the skeptics is; how can people have clear consciousness in a state of cardiac arrest with no brain activity (flat EEG)? Clearly these cases should not be called near death experiences but life after death experiences because people with cardiac arrest are clearly dead with no breathing or heart beat. "Interestingly, NDEs are like religious conversion experiences. "Many of those who become born-again into a religion report they no longer fear death." Ann Winsper, a North parapsychologist, said: "Many theories have been put forward to explain NDEs in purely "scientific" terms. However, for every theory proposed there have been scientific studies of cases that do not fit the proposed explanation. "Death is usually accepted once a patient has a flat EEG (Electro Encephalography) reading . . . brain death equates with death of the individual. "However there are documented studies of patients having accurate impressions of events that took place while their brains showed a flat EEG, and they were clearly dead. "This has enormous implications. Does it imply that consciousness continues after death, and does this confirm that NDEs are not simply the last gasps of a dying brain, but transition to an afterlife? "So far, we just don't know." "I don't remember hearing it. I remember that I - I went out for a minute. I saw my body floating below me and [a] kind of whiteness. I don't have much more information than that, whether it was heaven or something. I still don't know." The best documented instance of an Near Death Experience (or Life After Death) is the case of Pam Reynolds. In 1991, Reynolds was diagnosed with a brain tumor and had to undergo very complex surgery called "hypothermic cardiac arrest." This is a procedure where the body temperature is lowered, the heartbeat and breathing stopped, the blood is drained from the body, and the brain waves are totally flat. From 11:05 a.m. to 12:00 noon, Reynolds was clinically dead with flat EEG during the operation and in this timeframe she had a near-death experience. After coming back she was able to describe the instruments used during the operation and even conversations between the staff in the operating room. Both the instruments used and the conversations was later confirmed by the doctor and nurse. Furthermore, her ears where plugged with a sound device that would make it impossible for her to hear anything. Dr. Spetzler, who carried out the operation, later said that, "At that stage in the operation, nobody can observe, hear, in that state...I don't have an explanation for it." There is no explanation and Pam's case is one of the strongest signs of life after death that have ever been recorded and monitored by science. The case of Pam Reynolds is not only a case of clinical death beyond reasonable doubt, but also provides a clear case of "veridical perception," where things seen or heard by the person during the NDE are later confirmed by others. In the study of veridical perception some studies have shown remarkable results. In one study of 16 cases, 88 percent of perceptions outside the body appeared to be accurate and 31 percent could be confirmed by objective means. In another study involving 93 cases, 92 percent appeared to be completely accurate with 35 percent being confirmed by objective means. Even with verifiable veridical perception as evidence there will be skeptics, and therefore, I have also examined my own experience from a skeptical point of view. I asked myself whether my episode could not simply be a recreation of input that I had collected subconsciously throughout my life, let us say from movies. But my experience was so real and so far beyond my own sensibilities that I do not see how I could have imagined it. This is a common conclusion after the experience, and the International Association of Near-Death Studies (IANDS) tells us that people usually report that the experience is "hyper-real" and more real than the life we know in this dimension. Therefore, I have little doubt about the reality of my experience, and researcher Margot Grey confirms that this is typical: "To the near-death survivor there is seldom any uncertainty." One of her accounts describes this by saying that "there is no doubt in my mind that what I experienced was real." In one study, The Southern California Study, "Ninety-six percent considered the experience real and not a dream, claiming that the contents of the experience were unlike anything they'd ever had in a dream." One more thing to be said again in this relation is that the sense of realness stays with the experiencer. Usually people are able to recall the experience with perfect clarity many years afterward. In contrast, dreams and illusions are easier forgotten and disregarded as unreal. "Silver Cord" is broken our spiritual body returns back to God and our physical body turns to dust. (7) then the dust will return to the earth as it was, and the spirit will return to God who gave it. In Lessons from the Light by Kenneth Ring and Evelyn Elsaesser Valarino, Ring writes about his research into near-death experiences with blind people. 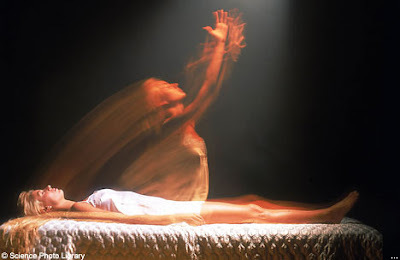 Skeptics sometimes say that the NDE is created by conditioned images, or even that people must have seen the same movie about near-death experiences. It was this argument that Kenneth Ring wanted to investigate when he started to look for near-death experiences among blind people. Interestingly, not only did he find that people who had poor eyesight could see clearly during the near-death experience, but he also found that some blind people were able to see for the very first time. In his study Ring found that 80 percent out of thirty-one blind people who had a near-death experience were able to see during their experience. Vicky, one person who had been completely blind from birth and survived two near-death experiences, explained, "Those two experiences were the only time I could ever relate to seeing, and to what light was, because I experienced it. I was able to see." Another person, Brad, who had also been blind from birth said, "I know I could see and I was supposed to be blind...It was very clear when I was out. I could see details and everything." This gets even more interesting when Ring then wanted to compare their eyeless seeing with their dreams. When asked to compare their near-death experiences to their dreams, both Vicky and Brad answered that there were no similarity at all. The big difference is that blind people do not see things in their dreams like sighted people do. Vicky tells us that, "I have dreams in which I touch things...I taste things, touch things, hear things and smell things-that's it." And when asked whether she was able to see anything at all during her dreams she answers, "Nothing. No color, no sight of any sort, no shadows, no light, no nothing." Brad explained the same, "I've had the very same consciousness level in my dreams as I've had in my waking hours. And that would be that all my senses function...except vision. In my dreams, I have no visual perceptions at all." Here are examples of two people who have never been able to see, but in their near-death experience are able to see for the first time. How is it possible for these blind people to transcend the sensory restrictions? Personally, I have no doubt that life continues after death and that consciousness can exist without the body. I think that the reason we cannot get any solid 'proof' is that we do not perceive all of reality. From my experience I am convinced that there is much, much more to reality than what meets the eye. Just as the universe continues beyond what we know, I am also convinced that life does. I've studied the Near Experiences for a number of years. One of the most remarkable events of an NDE is when you die you will have a full life review. Everything you have ever said, done or felt is shown to you. You will feel what it was like when you showed love to someone else, and you will also feel what it was like from the person who received the love you. Likewise anything you've done to hurt someone you will feel how the person you were hurting felt during the time you were hurting them. In other words if you've hit someone, you're going to feel what the person who was being hit felt during the abuse. Or if you've hugged someone with true love, you will feel what the person you were hugging felt while you hugged them. Every emotion you've ever felt during your life will be felt by you again. And you will also feel every emotion someone else felt as a result of what you did to them or did for them during your life. Near Death Experiences - Excellent Video! Near Death Experiences Research - Excellent Video!